/ Is Your Menstrual Cycle Making You Weigh More?? 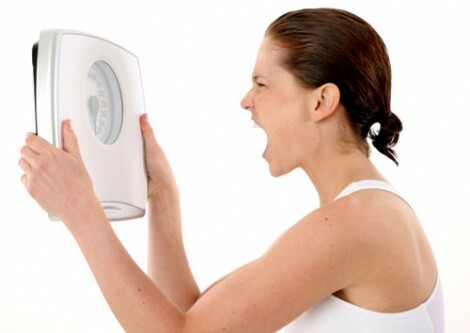 Is Your Menstrual Cycle Making You Weigh More?? One thing that i know frustrates a lot of Women is that your weight seems to fluctuate A LOT. It can either make you want to give up because things aren’t going the way that you wanted it to or can make you more determined to succeed. But here is one key difference between Men and Women amongst others. “The menstrual cycle is roughly 28 days long. Here is the impact of those phases on a woman’s bodyweight via water retention. A huge thank you to Lyle Mcdonald for putting the groundwork in discovering this female phenomenon. You’ve not gained weight, you’re simply holding more water. All you need to do is stick to the script when it comes to exercise and normal eating and remember you’ve NOT blown it, not gained fat and you don’t need a tub of ice cream or a bottle of wine to make yourself feel better. You’re never going to be able to control this process, and it pretty much will keep happening for months on end until your cycles stop later on in life. You’re mostly always gonna weigh more during the late follicular and late luteal stages of your cycle. The Menstrual Cycle just is what it is and there is very little you can do other than to remember what i’ve just shared with you or save this article for when you’re second guessing yourself.